The functional range of the R&S®SMW200A includes a variety of noise sources, such as Additive White Gaussian Noise (AWGN) and in addition, an Extended noise option R&S®SMW-K810 which includes an impulsive noise generator and a phase noise generator. 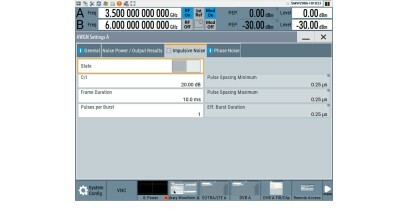 The impulse noise source allows users to define the impulse width, the number and the impulse interval. The phase noise makes it possible to enter directly the reference points of the phase noise trace via table. 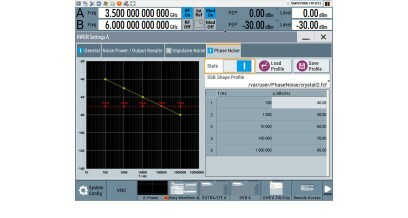 Users can also load predefined phase noise shapes as waveform files into the R&S®SMW200A for use by the phase noise generator.